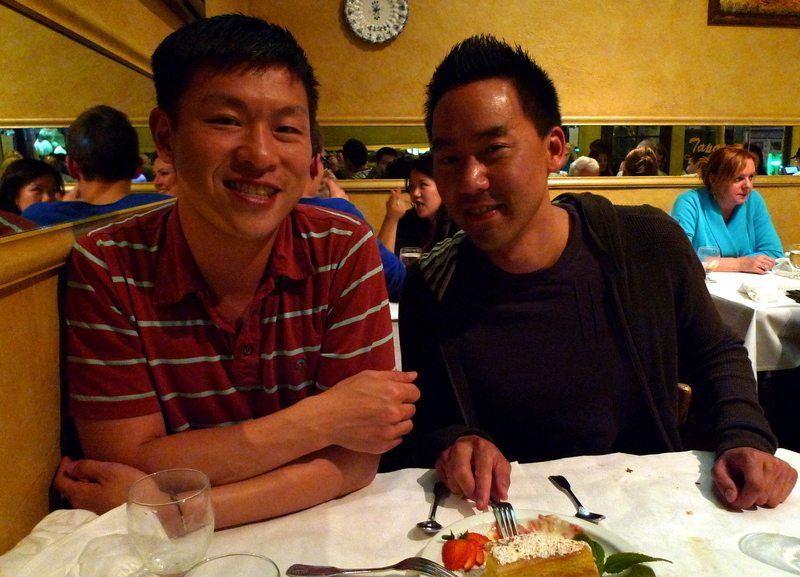 While in SF, I had the opportunity to meet up with a trio of Xangans (two of whom are AWOL from the site – ahem!) 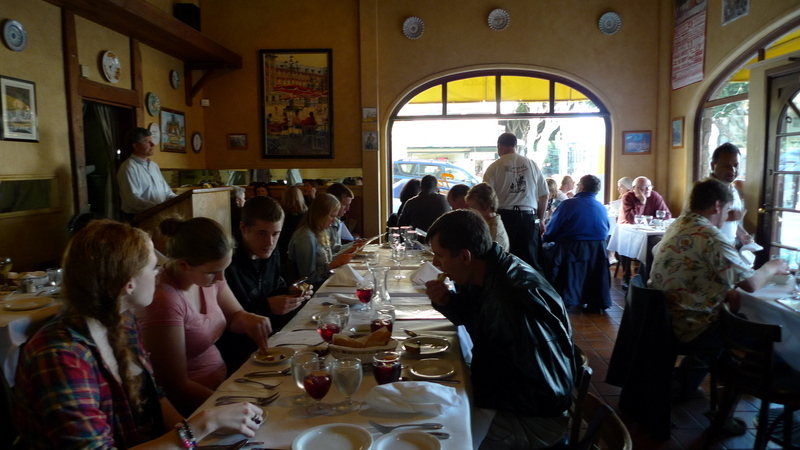 for dinner at Zarzuela, a Spanish restaurant on Russian Hill. The conversation was excellent and the food very good. Located on the corner of Union and Hyde Streets, the cable cars climb the hill outside Zarzuela’s front door. The room is cozy and the service friendly. 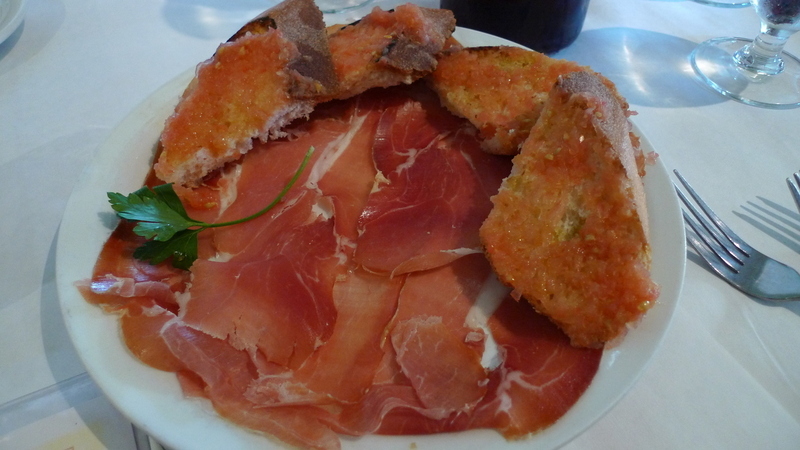 Jamon Serrano con Pan e Tomate – Serrano ham with toasted bread and tomato sauce. The ham was tasty, the bread was nice, the tomato sauce was weak and watery. 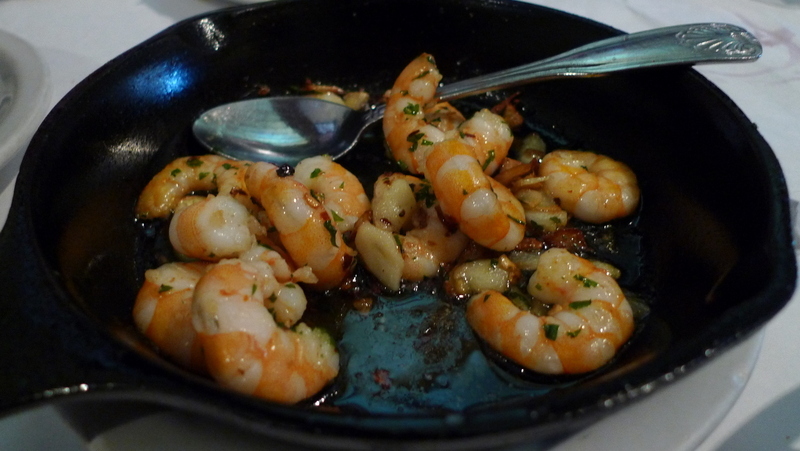 Gambas Ajillo – shrimp sauteed with garlic and olive oil. Very tasty but the portion was very small – this was the entire serving before any of us helped ourselves. 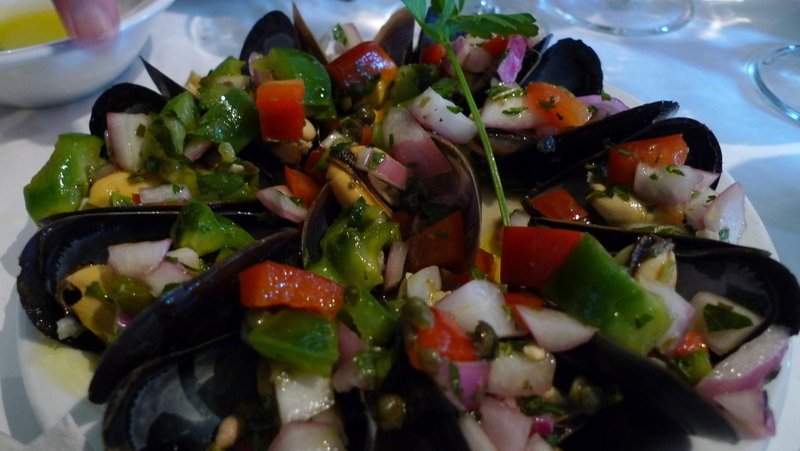 Mejillones Vinagretta – A specialty is the cold mussels served with chopped veggies and a sherry vinaigrette. Cold mussels seem less common than warm ones, but this dish is a good argument why cold mussels should be more comon. 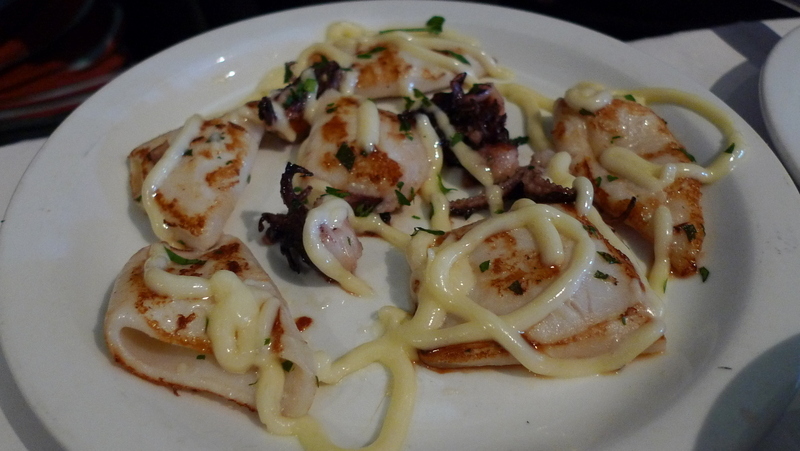 Calamares a la Plancha con Aioli – Grilled calamari shells with a garlic mayonnaise sauce. The taste was fine but the presentation was awful. It looks like a three-year old just squiggled some mayo on top with a squeeze bottle. 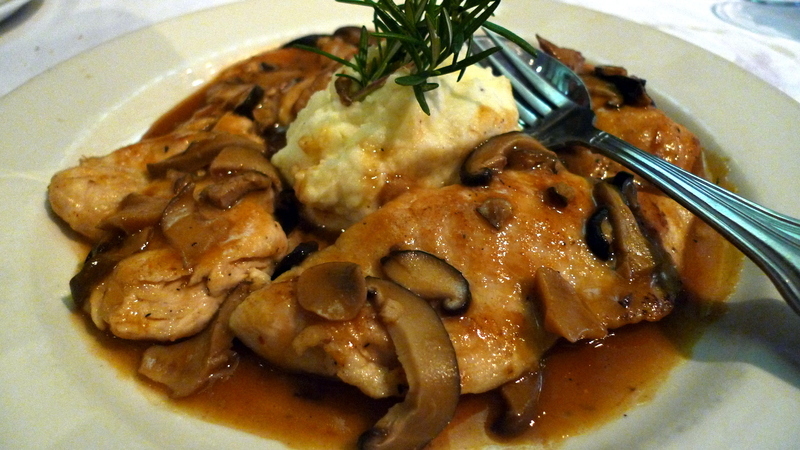 Pollo con Setas – Sauteed chicken with mixed mushrooms and sherry wine sauce. This was tasty but not particularlly inspiring. 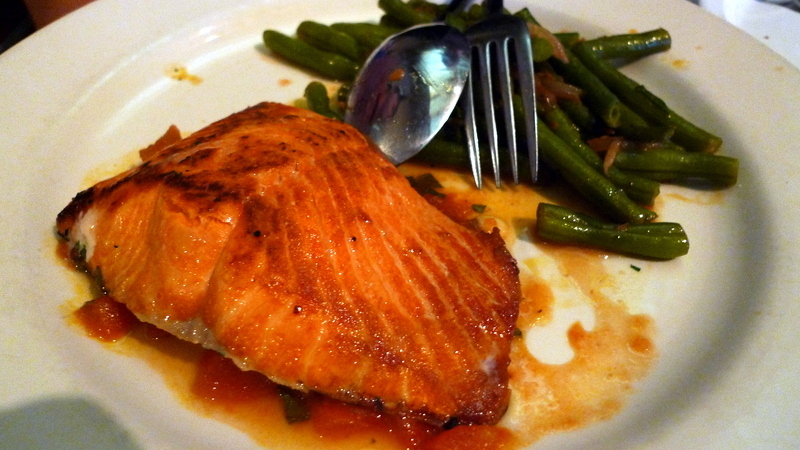 Pescado del Dia – Fish of the day, in this case salmon, served with a red tomato sauce and a side of green beans. Again, tasty but not very inspired. The type of dish that I feel most home cooks could easily create, which makes me wonder why I’m going to a restaurant to eat it. 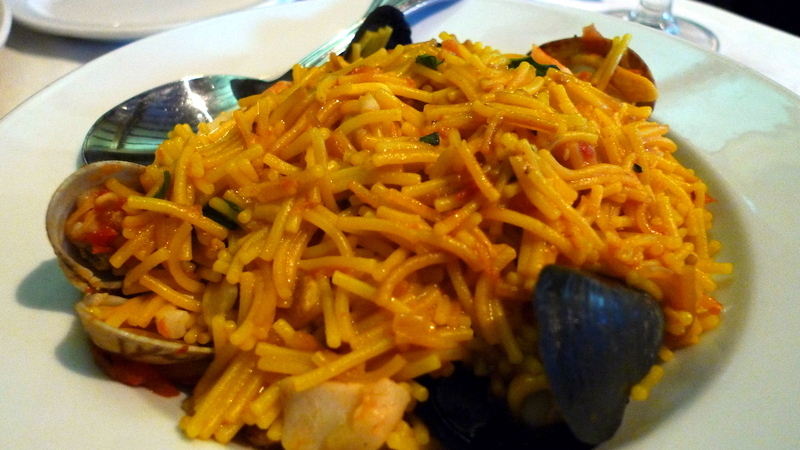 Fideos con Marisco – Vermicelli and seafood tossed with white wine and saffron. This had a bit of a “boxed mac and cheese” quality to it. Again, tasty food but not very refined. 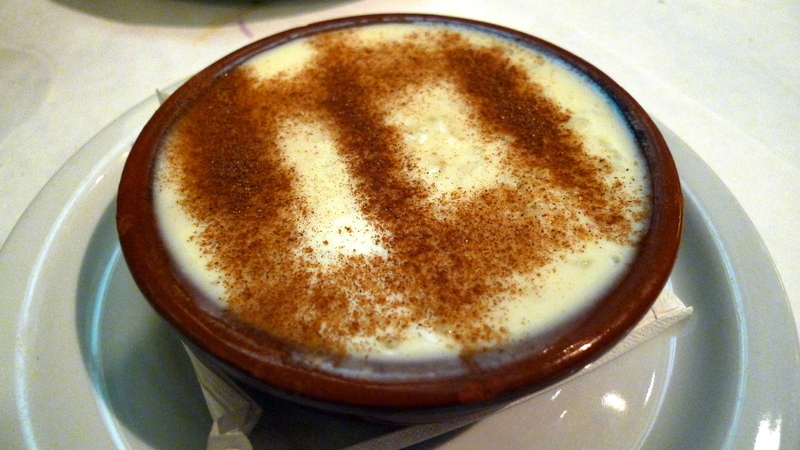 Having not been to Spain, perhaps you can argue that the food there is rustic but for a restaurant in San Francisco, I’m expecting a little sophistication for $14.95. Trio of desserts. I didn’t catch what they were (other than the middle one, which is an almond cake kind of like an Italian Torta del Nonna). Actually, the one on the right might be a rice pudding. The two AWOL Xangans, Jason and Sheening. Didn’t catch a good picture of the third Xangan joining us, Piyapong. Even if they have largely abandoned blogging on Xanga, it is always a pleasure to catch up with them in person. 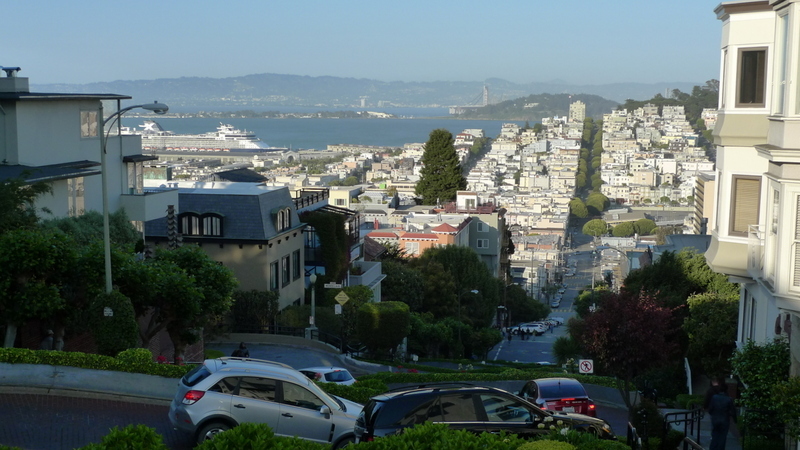 Fantastic view of North Beach and Telegraph Hill (and Lombard Street) just a few blocks north of the restaurant. This entry was posted in Uncategorized and tagged cuisine, Dining, food, Restaurant, sanfrancisco, Spanish, Zarzuela by christao408. Bookmark the permalink. Looks very delicious. I miss this kind of “elaborate” food. It is great to meet Xangians but someone needs to pick a better place to share food! 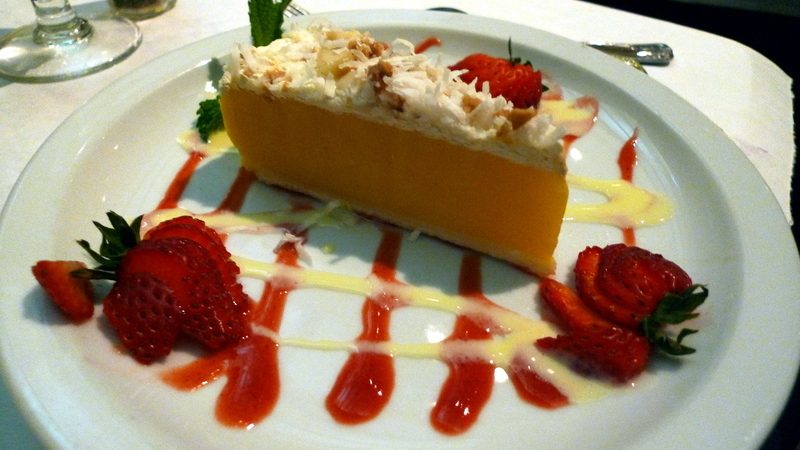 Sometimes presentation can kill a dish… and that is from a cook that rarely “plates” anything! I’m just now getting to the point where the minion don’t go into spasms if the food isn’t shoveled from pot to mouth! hehe! I am taking notes of your SF food reviews. I have never been to SF but am thinking about going there this winter. Love the street view here. Thanks for sharing! I’ll certainly bookmark this restaurant! The dessert looks delicious. I think I left my heart in San Francisco, even though I’ve never really “lived” there. You don’t pull punches, I see. I was wondering which Xangans you met so I skipped the food pictures and scrolled down. It’s Jason! I haven’t seen him in ages (I mean, I’ve never met him before but you know what I mean…). I didn’t follow Sheening’s blog before. I do read Piyapong’s blog. I think I count on you to meet up with Xangans so I can live vicariously through you. @Inciteful – In terms of my review of the food or in terms of my teasing of the AWOL Xangans? @ElusiveWords – By the time I met Sheening in person, he had already stopped blogging. It turns out that he and Tawn knew each other through a nonprofit at which both volunteered. Small world. All three of the guys – Jason, Sheening, and Piyapong – are really nice and if I still lived in the Bay Area I would definitely make the effort to see them often. @secade – I have to say, the desserts looked more impressive than they tasted. @jandsschultz – Glad I had the opportunity to live there. Not sure if I would do it again, though. So expensive! @CurryPuffy – Probably better restaurants to try, IMHO. Good, but not great by SF standards. @awoolham – If you make it out there, please let me know. I’d be happy to recommend several places well worth eating at! @beowulf222 – Is that “elaborate”? Or do you mean in comparison to the food at Hawker centers? @Fatcat723 – Well, the company made it especially worthwhile. @murisopsis – You have to know your audience, right? Give them what they want… even if it is a clear path from pot to palate. 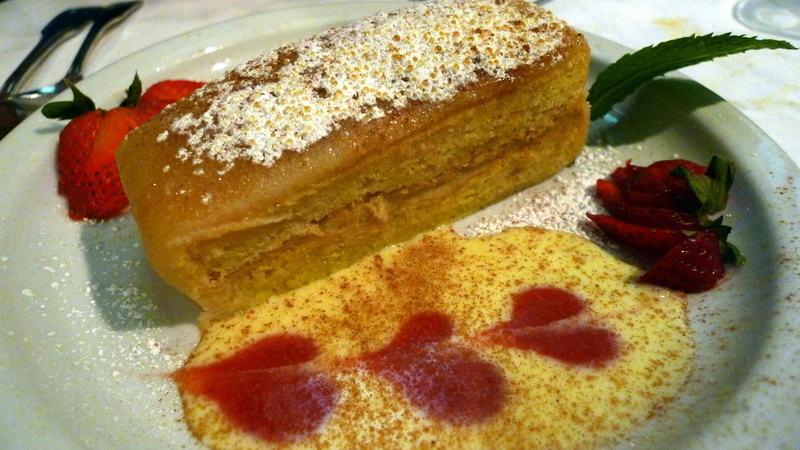 @christao408 – Well, it’s definitely more elaborate from what you get at most restaurants here. And, of course, a bazillion time more elaborate compared to hawker center or food court chow. waaahhh, look at those JAMON!! yuuummmm. OH MY GOSH. I NEED TO MOVE TO SF… the food pictures are killing me!!! I think(??) there is another restaurant in Chicago with that same name. I may be mistaken. But, I too felt that the food there was medicre at best. Some of the restaurants we visited in Madrid and Valencia Spain, were excellent, and others just passed over for being passable. Your presentation of the foods here, is always dynamic Chris. Thanks. I was wondering what you were going to write about Had I known you were going to post my face photo, I would have gotten a haircut! @ElusiveWords – I haven’t even seen your photo! @ZSA_MD – Many thanks. I’d imagine it is a common name for Spanish restaurants, but maybe it is the same owner? Who can say? @Wangium – I can digitally manipulate your hair, if you’d like. Or remove the photo, if it bothers you. Oh, just mailed a letter your way, too.